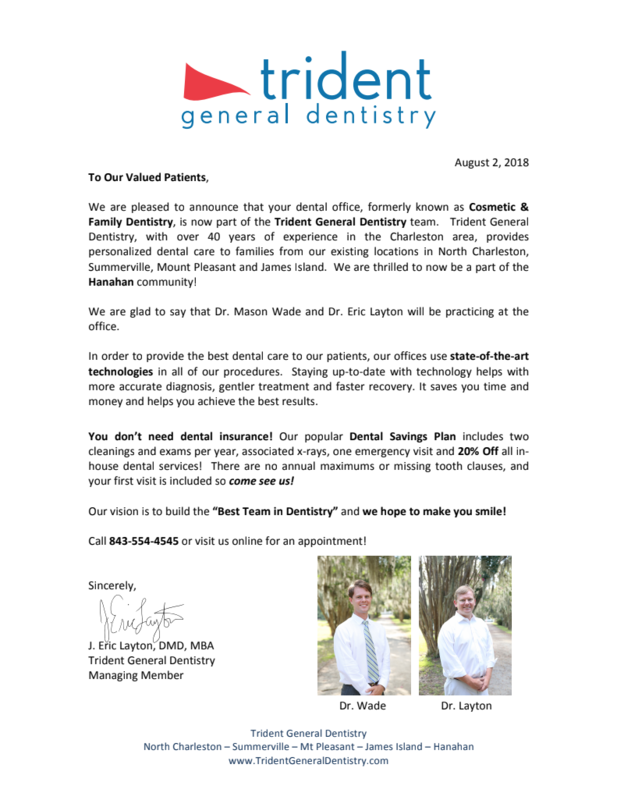 We would like to announce our acquirement of Cosmetic & Family Dentistry and welcome all previous and new patients of Cosmetic & Family Dentistry to our practice. 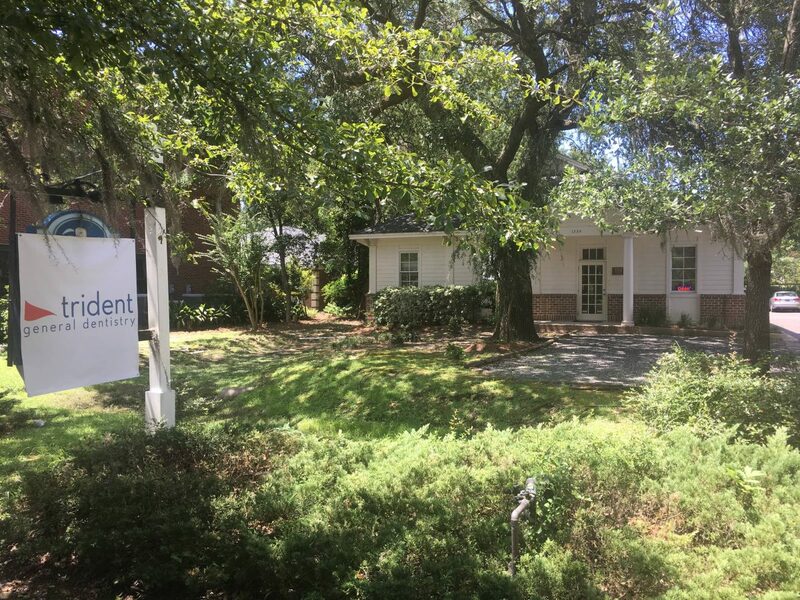 Our beautiful Hanahan dental office is located on Yeamans Halls Rd right next to ADC Engineering. We are on the west side of the road, between Griffin St and Arbor Rd. We welcome both adults and children, and offer general and cosmetic dentistry, as well as emergency dental services. Free parking is available just outside our office. 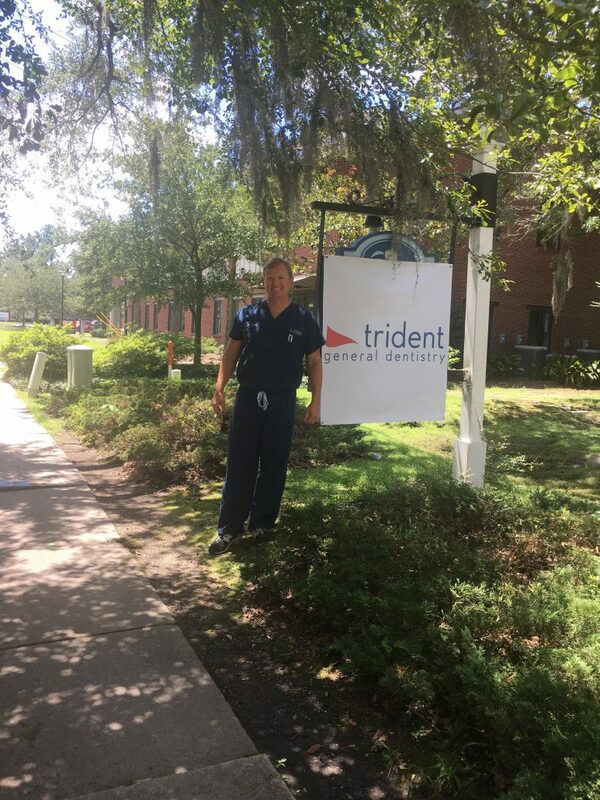 All hygienist employed with Cosmetic & Family Dentistry at the time of acquisition will remain on staff under the new ownership by Trident General Dentistry. Likewise, your patient history and records will also remain in our care. Dr. J Brad Palles has retired from the practice. We can ensure you will be in good hands under the care of our doctors and staff. What you may expect to see different is the name and branding of our office. This includes our contact information. If you have any questions regarding this transition, please contact us at (843) 554-4545 or fill out the contact form on this page. We are located on Yeamans Halls Rd right next to ADC Engineering. We are on the west side of the road, between Griffin St and Arbor Rd. We’d love to hear from you! If you’re living in the Hanahan, SC area, please give our practice a call and we’ll be in touch with you as soon as possible. Or if you prefer, schedule an appointment through our contact form. (843) 554-4545. 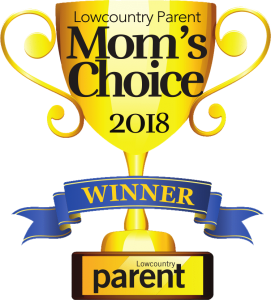 Get in touch with our Hanahan office and someone will get back to you shortly.